Posted on August 3, 2011 | by TRIP! The drug culture is not what it used to be. Over the last month our group has tested nearly 2,500 substance samples presented to us by patrons of music festivals and concerts. The results have been truly sobering. Nearly 100% of samples are cut with one or more substances, and they aren’t using baking soda anymore. Research chemicals, sold as “bath salts” or “plant food” have become an alarming issue. Nearly 60% of “Molly” (MDMA powder) samples tested at Wakarusa, Bonnaroo, Electric Forest and Camp Bisco contained large quantities of or were completely comprised of one or more of these chemicals. Many of these “research chemicals” present very real overdose fatality risks and have been in news all over the world. There were 8 overdoses attributed to tainted MDMA powder at Camp Bisco. Three of those individuals are no longer with us. An overwhelming majority of tested LSD samples were negative for the chemical. In the best-case scenario, the sample was just paper. In most instances, the LSD we tested contained compounds such as DO(x), a dark hallucinogen with a three-hour onset (leading to multiple doses) and can last for over 24 hours. Overdose effects include memory loss, irrational and sometimes violent behavior and the possibility of causing harm to oneself. At high doses, analogs of this chemical have the power to change the way the mind works permanently. 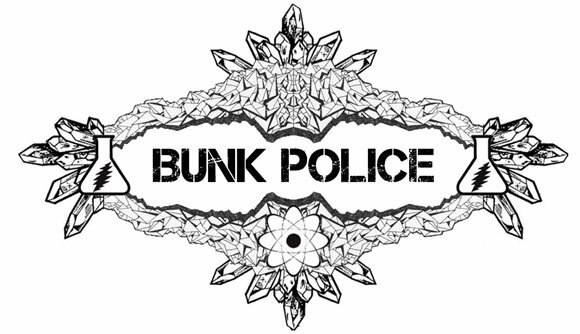 The Bunk Police deploys an array of chemical reagent tests to identify substances and cutting agents. These tests, although not completely definitive, give us a very good idea what the powder, pill or paper contains. We can test for well over 20 chemical compounds and we are constantly trying to expand our knowledge and capacity to test. The testing equipment that we use at our campsite is the same as Dancesafe.org has been using for over a decade. In addition to these standard tests, we also have the same tests that are used by the State Department, DEA and many EMTs. In addition to a stationary camp, we equip our volunteers with mobile testing kits and send them into what we call “hotspots” where substance sales are taking place openly. When in these locations, our volunteers simply set up a station right there where the action is taking place. On multiple occasions we were able to inform a dealer that he or she was selling a dangerous product leading to its removal from the market. We are able to identify substances in most cases, however many of the people we deal with are unprepared for the information we’re giving them. In order to deal with this issue, we have compiled comprehensive yet easy to understand reference materials and have volunteers ready to assist in informing our patrons. I personally conduct a brief information session every day of each event on the changing substance market and drug identification. I will cover the methods used to disguise dangerous cutting agents and how to know what you’re taking is real, as pure as possible and safe. Ents, I come to you weary from battle and in need of advice. Myself and my small group have been working long hours all across the U.S. testing substances and spreading awareness for the last six weeks. We’ve been raided by the Hell’s Angels (security at Camp Bisco) and harassed by the Police and other security forces. In attempting to remove dangerous substances from the market, we’ve run into some of the most intelligent, kindest people and some of the most twisted, greedy and evil souls that this world holds. Financial advice, accounting and contributions. My partner in this operation is heading back home to his family, leaving only myself to continue the crusade. I feel that I am driven enough and more than capable of continuing this, but I must try and appeal to others in order to expand the efforts of this entity I’ve created. Thank you so very much for your time and consideration.